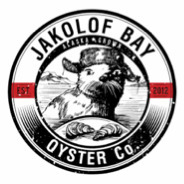 We are a small family farm in Jakolof Bay, Alaska. Our oysters are in prime condition, plump, clean and firm, a benefit of slow pristine, cold-water growth. We harvest to order for the freshest farm to table experience possible, but weather rules our world. If for any reason we are not able to meet your preferred delivery date, we will offer an alternative or a full refund.